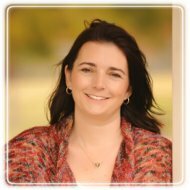 Frisco Therapist: Renee Fromm - Therapist 75034. Send A Message To Renee. When you were a child did you have or dream of having a treehouse? A place where you had the freedom to be who you were. A place that was yours alone. Did you dream of a big strong tree of support and foundation? Did you picture a refuge or place of peace? Curtains blowing in the breeze on a beautiful spring day as all your anxieties and fears sail away through the open air windows. Or maybe retreats in your “home away from home” on a cold, dark autumn evening where you snuggled in a blanket and felt the warmth of courage. Can you picture your beloved treehouse glistening with the winter’s new fallen snow, and its offer of comfort from the cold? Or hot summer days when you found new inner strength on the rope swing. Travel inside with me. What do you see in your treehouse? The furniture, the curtains, the floor covering, and all the decorations represent the person that is uniquely you. I hope that, as a child, you were able to enjoy such a place. At TreeHouse Counseling, I strive to create such a place for your child.